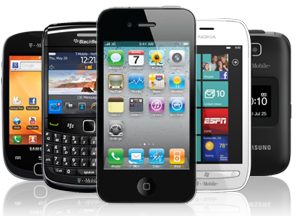 This page you"ll find some Haier Mobile Phone Manuals PDF. It all started with refrigerators. The company was established in 1984 on the basis of the already existing refrigerator production and was originally called Qingdao Refrigerator Co. From the name are visible and the scope of activities, and location (Qingdao city in Shandong province). Interaction with Liebherr, as well as the activity of the new management allowed to update the equipment and start the production of joint products. By 1986, the company had made a profit, and over the next few years had crushed other production facilities in Qingdao, including companies that manufactured air conditioners and microwave ovens. About that period of the company's activity there is a curious legend. Allegedly in 1985 a disgruntled buyer returned to the factory a defective refrigerator. The head of the company, Zhang Ruimin, revealed that out of 400 devices available, this or that marriage contains 76, that is, a marriage rate of 20%, and the OTC works poorly. Next action: Zhang Ruimin forced factory employees to smash all the defective refrigerators, despite their cost, so that poor-quality goods did not leave more production walls. One of these hammers is stored at Haier's headquarters as a reminder of how important it is to monitor product quality. In 1991, the company received its current name. Why this? It's about language. In Chinese, Liebherr is pronounced as Libohaier, so they took the last two syllables of the name of the German counterpart - and voila, now we are Qingdao Haier Group, since 1992, just Haier Group or Haier. By the end of the 1990s, Haier produced refrigerators, microwave ovens, air conditioners, televisions, telephones and even computers, according to some sources, as one of the leaders in Chinese industry. Success in this field allowed to enter the international level. In 1996, production was opened in Indonesia, in 1997 in Malaysia and the Philippines. In 2000, Haier opened a factory and representative office in the United States, in 2002 - in Pakistan, in 2003 - in Jordan, then became interested in African markets and established production in several local countries. In late 2003 and 2004, the Financial Times and Price Waterhorse Coopers called Haier the most respected Chinese company. In 2006, the Chinese edition of the Fortune edition was recognized by Haier as the country's most steep company, and in 2007 production began in India. In 2008, Haier outperformed its main competitor, Whirlpool, and became the leader in the worldwide sales of refrigerators. The acquisition of other companies, including foreign ones, allows the Chinese to increase production. In 2015, Haier accounted for 9.8% of global retail sales of household appliances (Euromonitor International Limited data). In early 2016, for an impressive $ 5.4 billion, a General Electric unit was purchased, which is engaged in household appliances. The goods of this brand are sold in more than 100 countries of the world. Haier Corporation has 66 trading companies, 143,330 outlets, 24 enterprises and about 60,000 employees worldwide. Research and development is conducted in five own scientific centers. You can say that Haier in China is something like LG in Korea: there are a lot of factories, there are manufactures abroad, different directions of work ... With Samsung (Service Manuals page) I will not compare, even weapons and ships do. In February 2017, Haier was one of the top 100 most expensive technology companies in the world, ranked 76th, and among the most famous Chinese brands in the world, Haier is the 7th. In China itself, the brand is also well known. Given the newfangled trends, Haier aims to produce not just household appliances, but what will be included in the "Internet of things" (IoT) and "smart house". Haier helped Meizu (PDF Manuals page) with some equipment. As for the usual consumer electronics like smartphones and tablets, the company is also engaged in this, nevertheless, the niche is very important. However, he does not show any special activity, he does not release cool flagships and does not invent new features. Smart Haier phones are mostly budget.